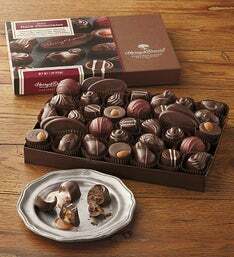 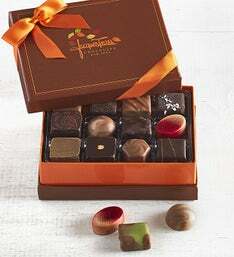 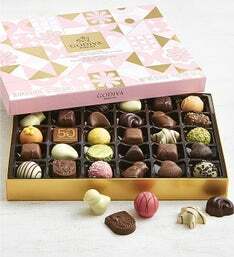 Send your love in elegant style with this 28 pc Neuhaus Belgian Chocolate heart collection. 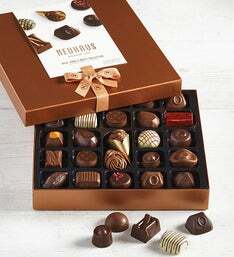 Showcased in a beautiful, sleek heart-shaped box featuring a design of interlocking hearts symbolizing infinite love, flavors include a variety of milk, dark and white, including Neuhaus' Maître Chocolatier's latest limited edition flavors: White chocolate & strawberry with gingerbread cookie, milk chocolate & raspberry with pink peppercorn and dark chocolate with cherry & anise. 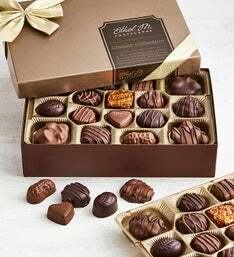 Neuhaus’ 2019 Limited Edition Valentine’s Day Collection was inspired by the concept of Infinite Love. 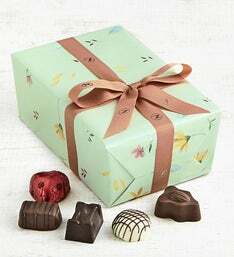 Expressed through an interpretation of the infinity symbol, continuous interlocking hearts populate luscious berry-coloured fields in their decadent gift boxes.